Click the link below to access RebelBetting. 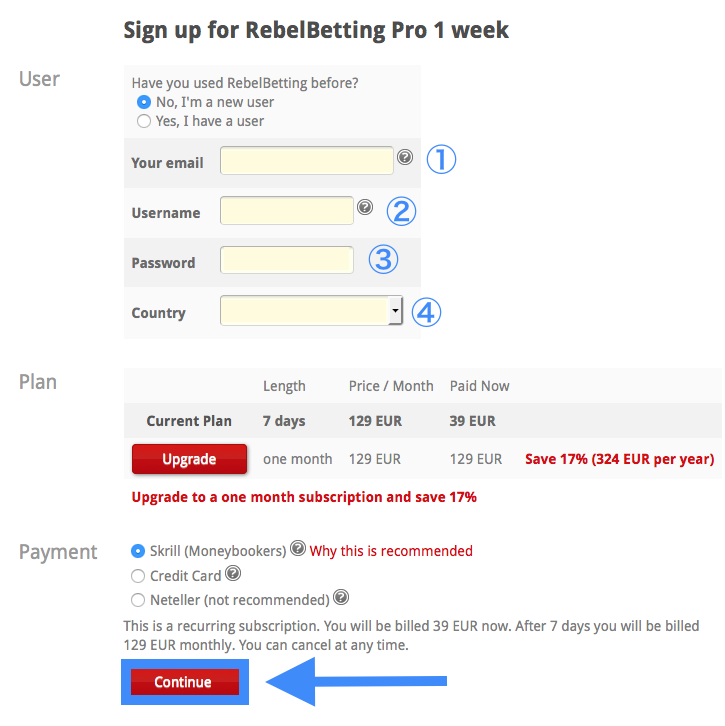 After accessing RebelBetting’s web site, click on “Pricing”. 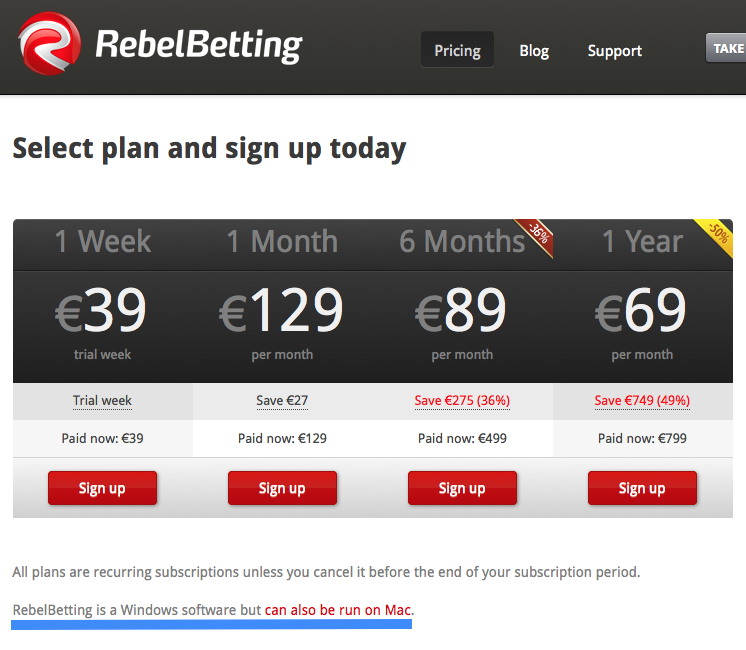 Note that at present RebelBetting has been created to run only on Windows operating systems. If you have a Mac, please refer to the following screenshot for how to run RebelBetting on your computer. 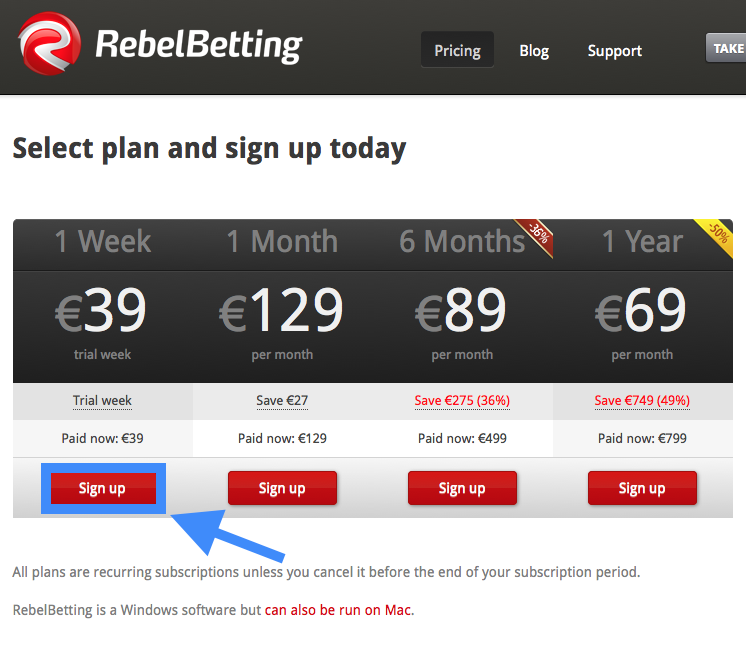 Click the red “Sign up” button to gain access to RebelBetting’s €39 trial. On the following screen, first select “No, I’m a new user”. Then enter in your email address, create a username and password followed by selecting your country of residence from the drop down list. Next, select Skrill (Moneybookers) and click the red “Continue” button. After clicking on the red “Continue” button, a screen will appear for you to enter in your credit card details. Please disregard this and scroll down to the bottom of the screen and click “I already have a Skrill account” as shown in the image above. On the next page, log into your Skrill (formerly Moneybookers) account by entering in your Skrill email address and password to complete your purchase transaction. 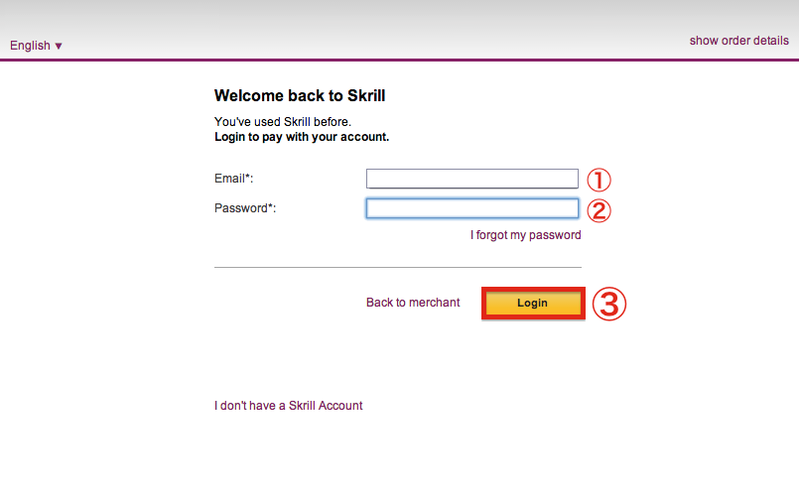 If you do not have a Skrill account and would like to create one, please refer to this page – How to open a Skrill account. 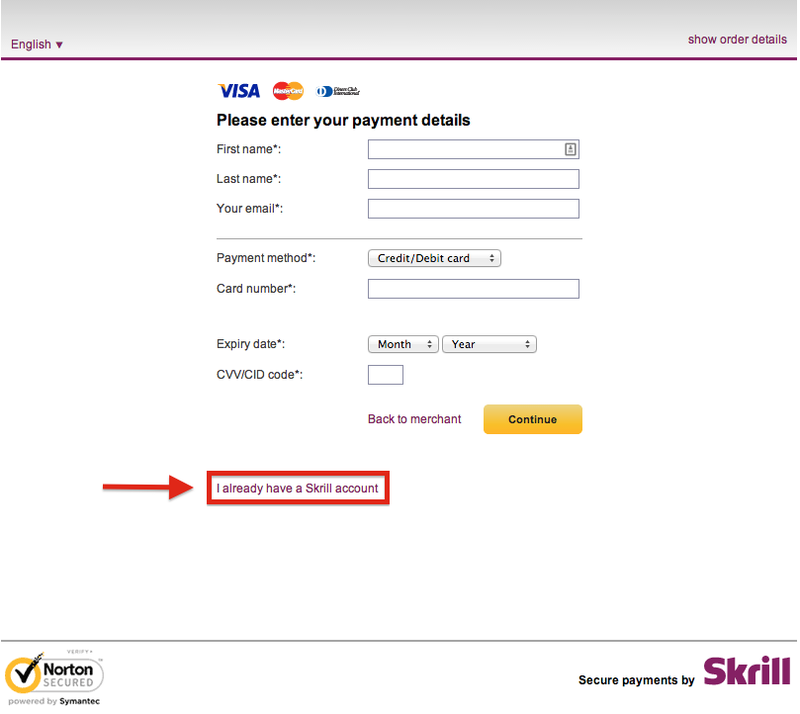 If you do not have a balance of at least €39 in your Skrill account, please refer to this page about how to deposit funds into your Skrill account. 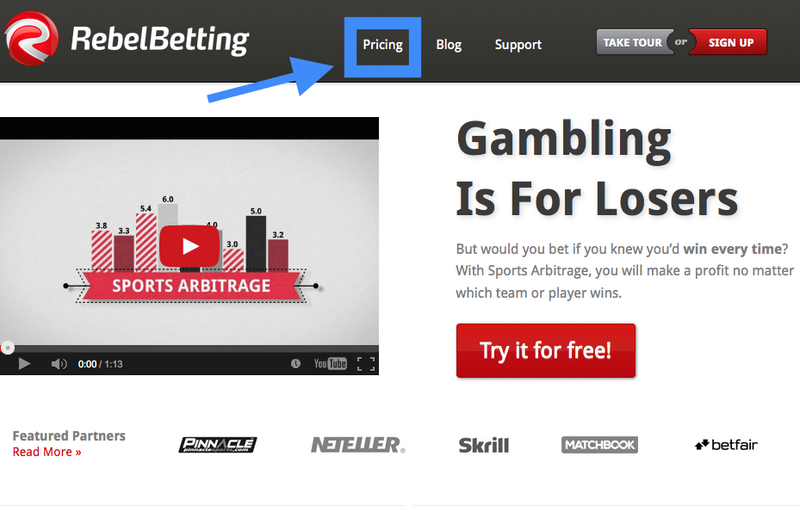 Looking to purchase a RebelBetting sports arbitrage system subscription? View here for a step-by-step guide on how to make payment via Moneybookers.